The Images below are censored. To see the uncensored images, follow this Link. 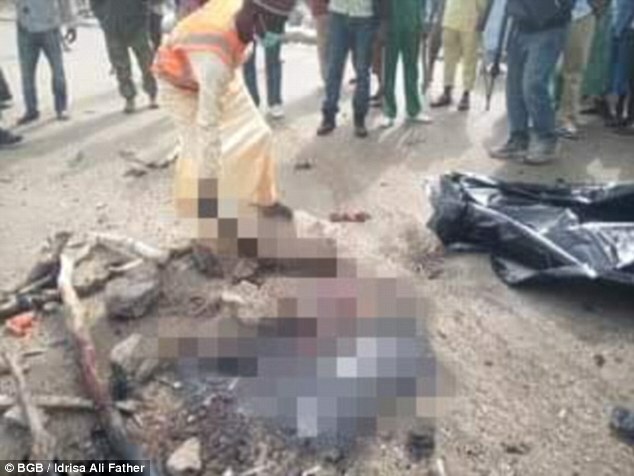 A female suicide bomber in Nigeria was lynched to death by an irate mob after her explosive vest failed to detonate. 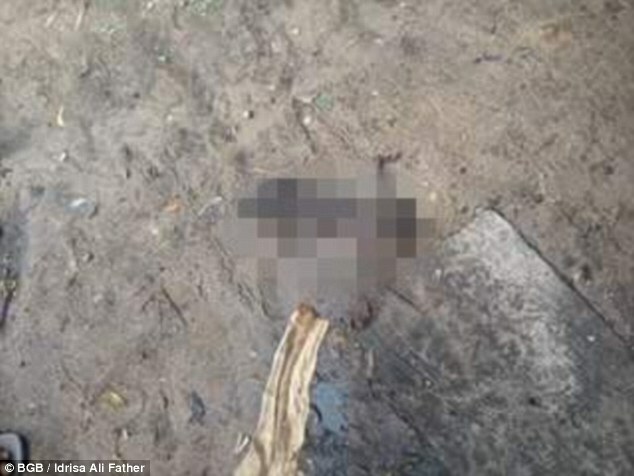 The woman was killed by people at the Kasuway Shanu cattle market in the central district of Kasuwa in Maiduguri in northeastern Nigeria. She was killed shortly after another woman had successfully detonated her vest. It is understood the two attacks were due to be coordinated in order to maximize the number of casualties. Police confirmed the first terrorist died in the attack while the second woman was 'lynched by an irate mob in her vicinity'. Nobody has claimed responsibility for this morning's attack, which took place around 8.40am local time. 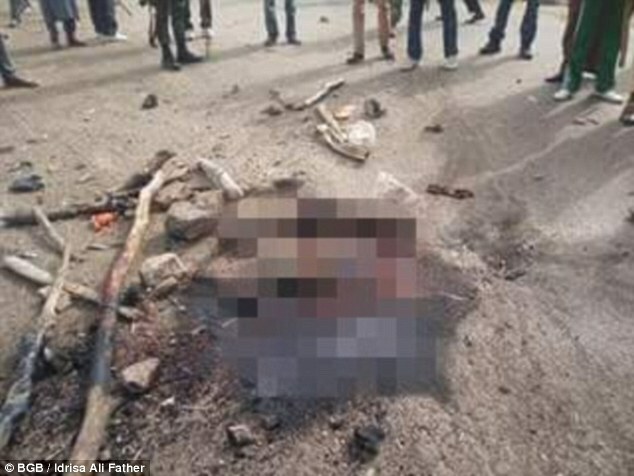 Security forces believe the two terrorists were from Boko Haram. This week, President Muhammadu Buhari claimed the Nigerian military had successfully wiped out Boko Haram's main base in the Sambisa Forest. He said the victory was the 'final crushing of Boko Haram. Despite having been pushed back to the forest by the army in recent months, the group still stages bombings in the northeast and in neighboring Niger and Cameroon. 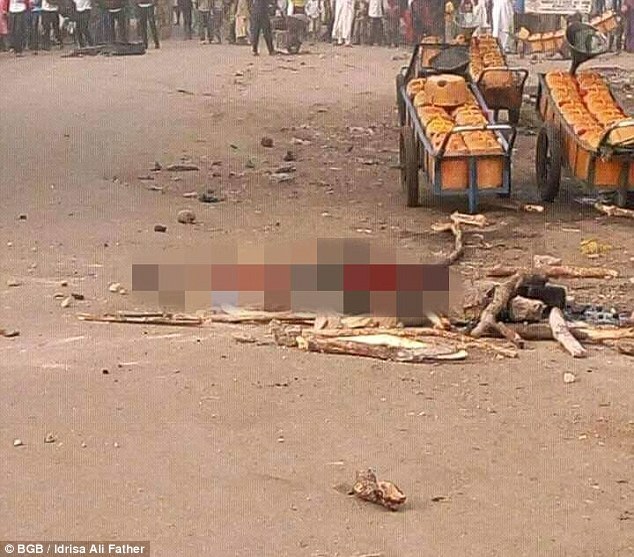 A suspected Boko Haram suicide bomber killed two people in Cameroon on Sunday. The terror group has killed 15,000 people and displaced more than two million during a seven-year insurgency to create an Islamic state governed by a harsh interpretation of sharia law in the northeast of Africa's most populous nation.